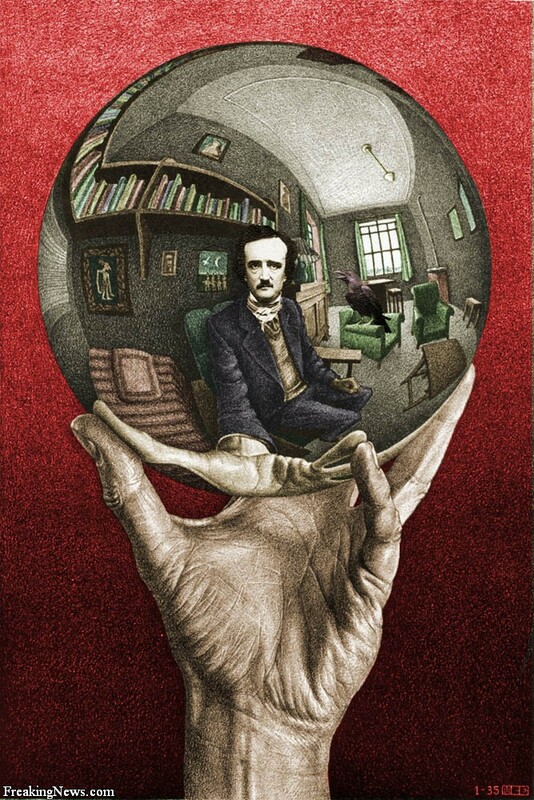 Edgar Allan Poe to be exact. He’s one of my favorite authors of all time (along with Oscar Wilde, Emily Bronte and William Butler Yeats). He was born January 19, 1809. Not only is he one of my favorites we also share a birthday! I’ve always loved that the famous person I share my birthday with is Poe. I’ve never been a big fan of my birthday. But in the past few years I’ve tried to make it a special day so that I DID enjoy my day. My 30th birthday last year was amazing. I had a big dinner party with friends and then Michael and I had an amazing time in Sunriver, Oregon. 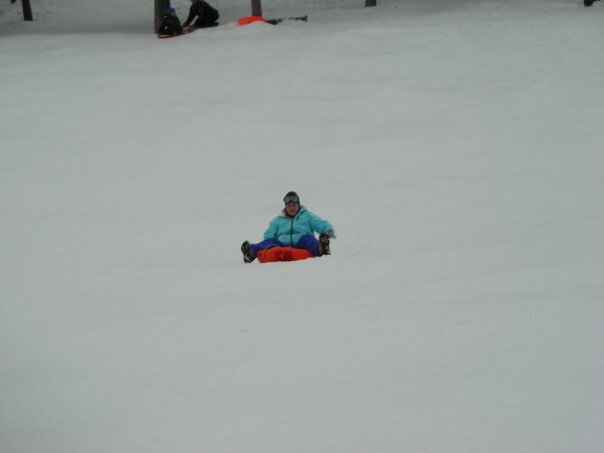 Lots of eating, beer tasting, snowshoeing, sledding, watching movies in our hotel room by the fireplace. It was a pretty stellar birthday and I don’t know that anything can ever compare to that one! I love it. 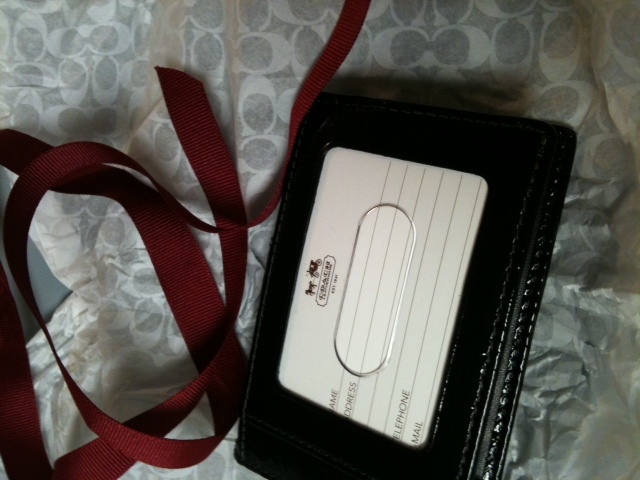 A classy, simple wallet. Also, Michael went ALL out for my birthday and definitely spoiled me rotten. 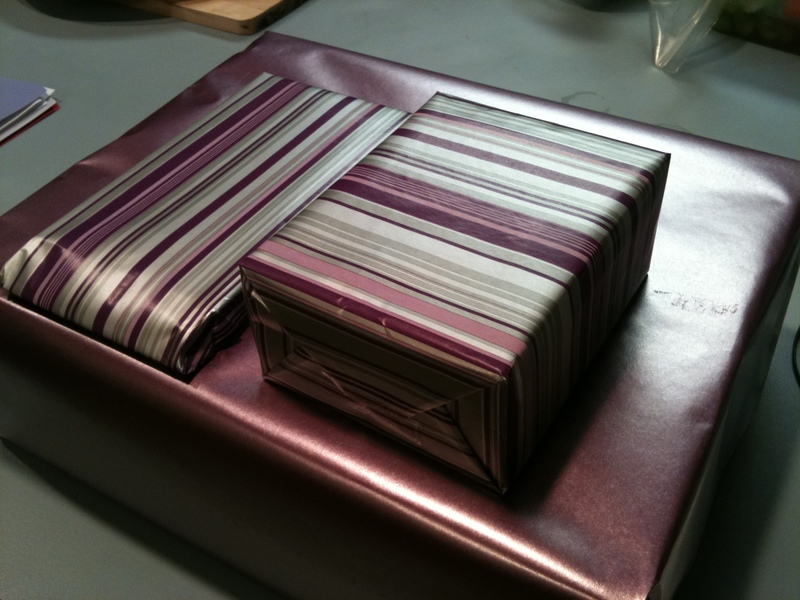 He actually let me open my presents the night before we left for Bend. He got me things I needed and wanted! A new iPhone case, a car charger for my phone (desperately needed, and definitely needed for a car trip). 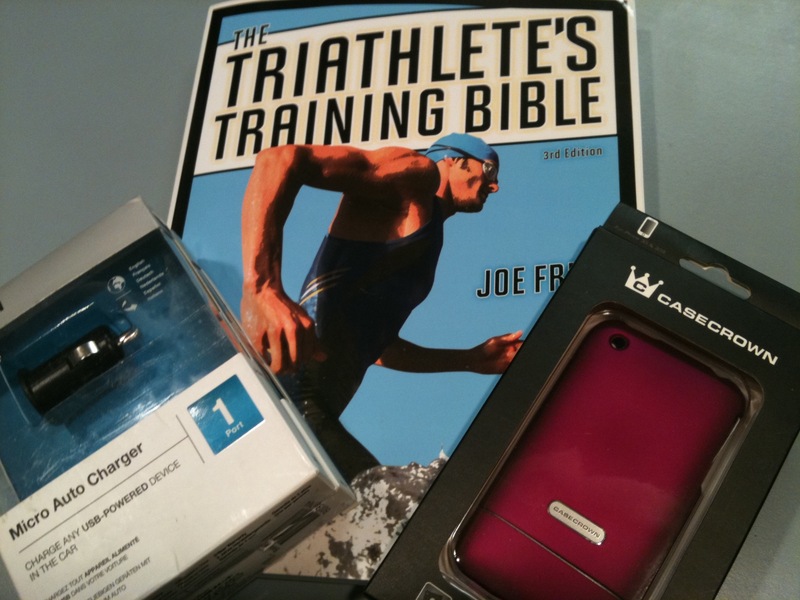 Plus he got me the Bible of Triathlon training. While 2011 was SUPPOSED to be the year I do a Tri….I don’t see it in my future for this year with the injuries I’ve had. 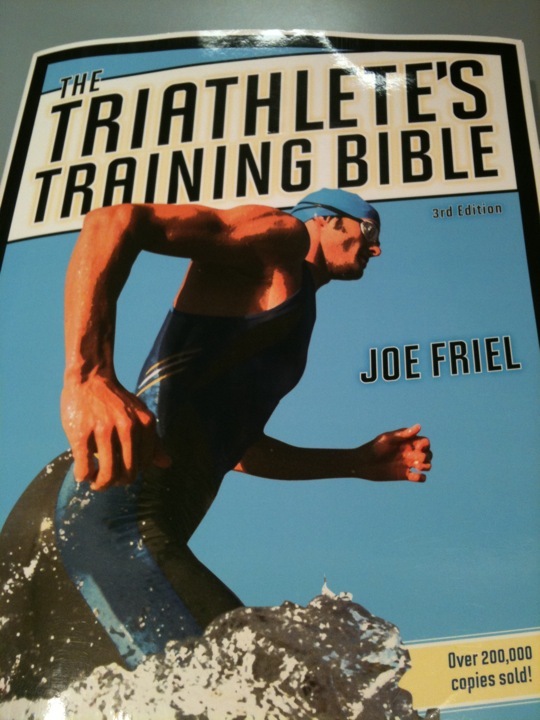 But I still want to read the book about training, food, and the individual sports of a Tri. 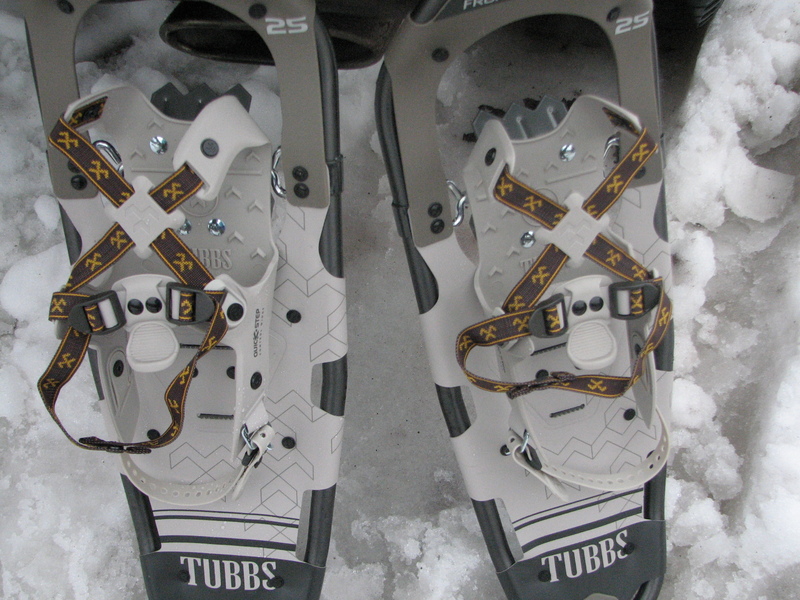 Michael also spoiled me further by buying me snowshoes of my very own! And as you read in my weekend recap posts, the shoes worked GREAT! Tuesday night Michael and I got dolled up and went out to dinner to celebrate my 31st birthday. The destination? 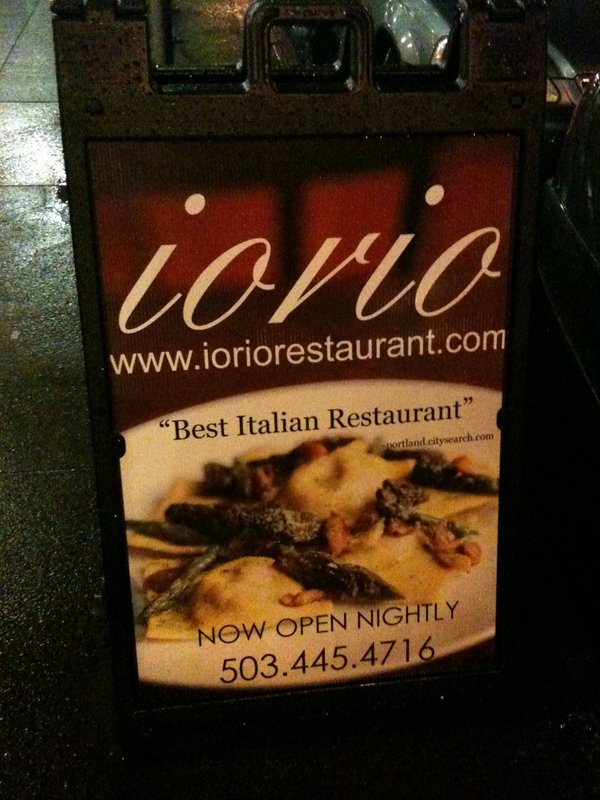 Iorio. None of the photos turned out well, which is unfortunate because the food was really good. I ordered the Agate Ridge Viognier wine, which was delicate and sweet but not overly sweet. We split the Antipasti dish which was toasted chickpeas with a balsamic reduction, carrots, spinach and celery. It was good. Then we split a organic green salad with candied walnuts (yum–candy on a salad, I’m IN!). My entree was the slow roasted pork with crispy polenta and fresh veggies. It was delicious! I have leftover pork that I’m going to make as a sandwich today. Dessert was freshly baked chocolate chip cookies with a glass of milk. It was so good! 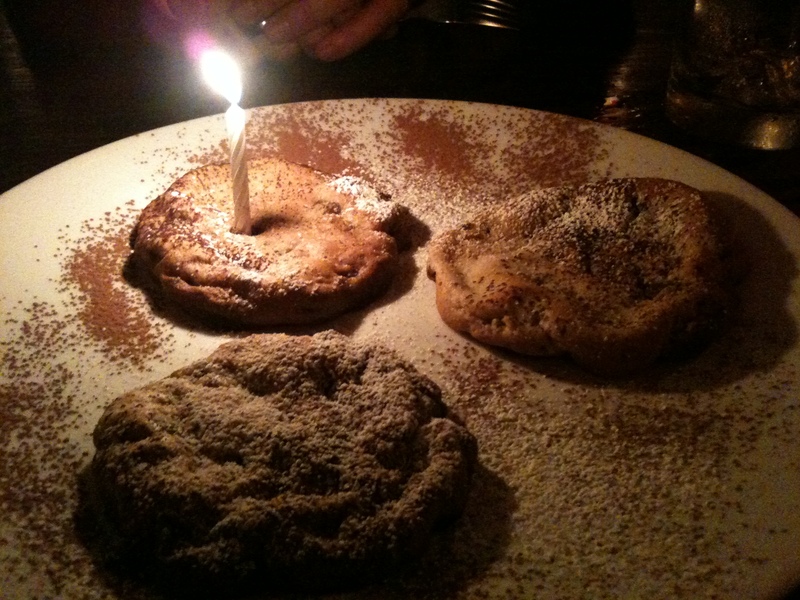 The perfect birthday dinner! QUESTION: When is your birthday? What do you usually do to celebrate? Mine is in June. 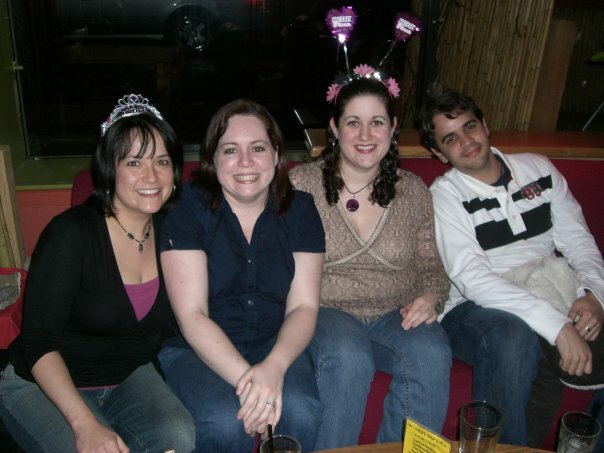 We usually take the weekend closest to each of our birthdays and do a mini trip or something really fun. I like to really celebrate! I like to celebrate with vacations too. we like to Go Big for birthdays, too… last year for mine we went to Vegas for a week of restaurants + spa. I was spoiled and happy. See that’s the way to do it! 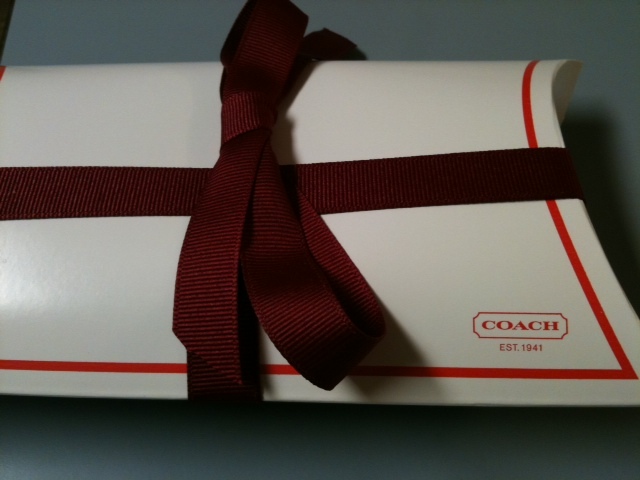 I treated myself to a new Coach Wallet and a new Michael Kors purse at Christmas. Happy Birthday, Lisa. Nice! I say spoil yourself on your birthday! January birthdays are the Best! You are so funny that you spend it with your mom because she “did all the work.” Very true, and what a good daughter you are! Sometimes I wish my birthday was in the summer so I can throw a BBQ or something! A very belated happy birthday!! I’m glad it was a great one. That restaurant looks amazing!